Recently, we updated the artwork at the VACC in Melbourne to coincide with the appointment of a new VACC Director. Every two years, the VACC appoints a new Director who chooses art work for their Head Office’s entry foyer at St Kilda Rd. 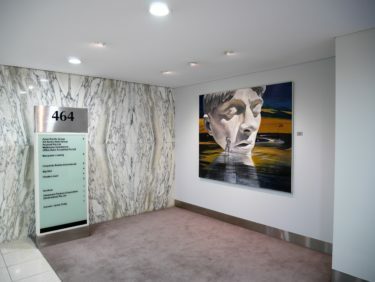 This time the work is from Corporate Art Rentals’ artist Steve Warburton. Steve works and exhibits in Melbourne and completed his Fine Arts degree at Monash University. 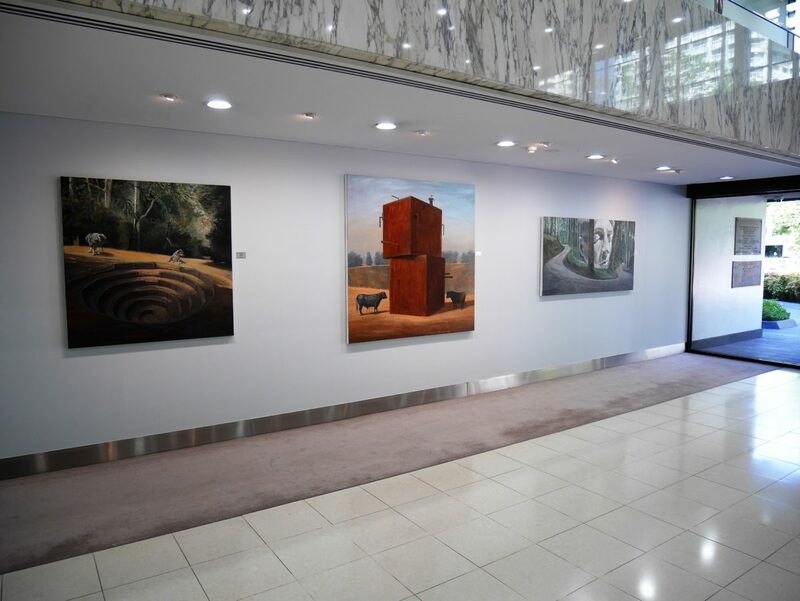 He has exhibited widely, in group and solo exhibitions and his paintings and drawings are held in collections Australia-wide and internationally. Steve’s works are arresting, to say the least. As we hung the works, it was interesting to observe how people reacted as they passed through the VACC foyer. Almost everybody stopped and pondered the works. The common consensus was that people loved the transformation to the entry foyer and that Steve’s works were powerful, arresting and emotional. We are delighted by the outcome and very proud to be able to exhibit Steve’s work at the VACC. Next Next post: John Aslanidis paintings rented to 580 St Kilda Rd, Melbourne.